Just like the Nilfisk vacuum brand, Electrolux has Scandinavian roots and was born out of a merger that saw two Swedish based companies combine all the way back in 1919. 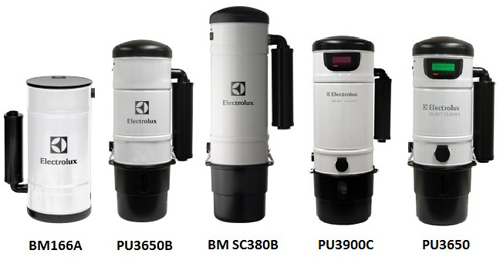 In the beginning, Electrolux was almost completely concentrated on producing electric vacuum cleaners, but since then they have expanded their product line considerably and now manufacture a whole range of household appliances. In fact, in terms of sheer revenue, Electrolux is the second largest manufacturer of household appliances in the whole world (Whirlpool is the largest) and mainly caters for the residential user, although they do also produce professional grade equipment. Thinking of purchasing a new vacuum? You won't go far wrong with an Electrolux vacuum! Ergorapido Ultra - With this Electrolux vacuum you aren't limited by a cord; it's ready for you to just "pick up and go" at any time. Additionally it's extremely lightweight and comes with 12 volts of power, allowing you to vacuum for longer. It also comes with a full set of tools that allow you to clean a range of surfaces. Nimble - If you're looking for an upright vacuum cleaner that offers great mobility and range of motion, they don't come any better than the Nimble by Electrolux. It possesses an innovative swivelling system that makes turning easy, a quick release hose with a 14 foot reach, and a sealed HEPA filtration system that is proven to remove 99.97 percent of dust and dirt in your home. Ergospace Green - Constructed largely from recycled materials, the Ergospace Green features a compact design, a 10 AMP motor that provides the ideal amount of suction and an extra long hose that allows you to reach up to 34 feet. UltraOne - This Electrolux vacuum provides an unrivalled level of manoeuvrability, featuring large rear wheels that aid turning. It also boasts a powerful motor that allows the vacuum to clean all types of dirt efficiency, and most importantly, quietly. UltraSilencer DeLux - If you're especially concerned about the noise that your vacuum makes, this is the model for you. It has a special double-hull construction that helps to absorb the noise that is produced, providing you with a quieter cleaning experience. Metal BM SC380B - This model features an extremely robust metal body that comes with a lifetime warranty, a specially designed latch system that allows for straightforward bucket removal, and a patented insulation system that ensures noise is kept to a minimum. Oxygen ZCV920A - If you can afford to spend a bit more, this model comes with a few extra features including a useful system information display, a "self-cleaning" filtration system that extends the motor's lifetime and True HEPA filtration, meaning the air in your home is kept extremely clean. Are you looking for a new vacuum to keep your home in Toronto, Richmond Hill or Thornhill clean? Amati Home Systems Ltd. provides a range of Electrolux vacuum cleaners at the best prices around. Call us today for further information.